Ourendeavour was set up in 2014 by Hugo Dalrymple-Smith and Alex Smith after our experiences with relocating to the t’Gooi area, both of us had poor experiences when relocating to the area and after speaking to other expats they had similarly poor experiences. In response to this we decided to create a business which purely focused to providing a high quality relocation services to expats relocation to the area. To ensure that we handled all sides we are partnered with Dorenbosh and Rash (a local makelaars) to ensure that we have access to the dutch property market. In 2018 Alex relocated back to the UK and Ourendeavour was delighted that Vanessa Marks joined the team to ensure that we continue to offer a great relocation package to the Netherlands. "My wife and I moved from London to Amsterdam in 2007 with my job at the time. We were put up in a hotel and given 10 days to find a home….no pressure! One year later we returned to London with a new job opportunity and a 6 week old baby in tow. With no relocation agent, we were left to fend for ourselves……fortunately life was made easier returning to our home country but the move was still a major upheaval and it took some time to settle. Fast forward to 2012 for relocation to the Netherlands take 2..this time with my wife Lucy’s job and this time with 2 children under 4 in tow! Our main focus for an area to live in was led by our preference of school and a not too lengthy commute to Amsterdam – welcome to Hilversum! I decided to leave my job in online media in order to give Lucy the time she needed to settle into her new job and for us as a family to settle into a new country. In the past 6 years, we have moved house (between Netherlands and the U.K.) 4 times, so I feel a certain empathy to anyone who finds themselves in the same position….especially when it involves another country." As a full time mom in the Netherlands for the last 2 years, mopping floors and talking to my golden retriever (he is not a great conversationalist). I realized I missed the the fast paced magazine publishing environment which was my ‘other’ life for many years. I set about starting my own gifting business with a friend, and as fate would have it, it was then that Hugo approached me to be part of "Our Endeavour". I have always had a passion for property, and simply could not refuse this incredible opportunity to be in the industry I love. For as long as I can remember I’ve been obsessed with property. I wake up each morning and check Funda and the property sites back in South Africa, just so I can see the new additions. Perhaps it’s the romance of making memories in a new home, or the feeling you get when you first walk through a house and realize you have fallen in love. Whatever it is, when the property bug bit me it was for life! I’m hoping my love for this industry, combined with my own ex-pat experience, will pave the way for a successful career placing families in their new Dutch homes, with Our Endeavour. Patrick studied Business Economics in Amsterdam and became a registered Estate Agent (Makelaar) in 1996 as well as a member of the NVM (Dutch association of Estate Agents). Having previously worked for local agents in Hilversum and Bussum in Het Gooi and having lived in the area all his life, he has a wealth of knowledge. In 2004 Patrick decided it was time to setup his own agency and become one half of “DorenbosIRasch Makelaars BV” with his childhood friend Carel, together they have recently celebrated 10 successful years and continue to provide a first class service. Carel, like Patrick studied Business Economics in Amsterdam but entered the world of advertising and worked for various advertising agencies before joining “Rothmans International Tobacco” where he worked for 5 years. Carel became a registered Estate Agent and a member of NVM (Dutch association of Estate Agents) in 2000. Having grown up in Het Gooi area as well as previously working in Naarden-Vesting, Laren and Hilversum, Carel also understands the properties and area of Het Gooi impeccably and became the second half of "DorenbosIRasch Makelaars BV”. Denise joined DorenbosIRasch Makelaars in 2008 as Office Co-ordinator after previously working for an Advertising Agency in Amsterdam. Denise is of course the true back bone of the office making sure Patrick & Carel keep on top of their duties! Denise’s has been surround by the property industry all her life both with her own family and now with Partick and Carel. Marit Noort is OurEndeavour’s specialist immigration expert and brings with her almost 20 years of experience in the field of immigration. Marit graduated in European Business Management from the Hogeschool Haarlem and The University of Huddersfield (UK). Marit began her career with one of the largest expatriate consultancy firms in the Netherlands and thereafter worked for 3 years in the International Assignments group of PricewaterhouseCoopers. 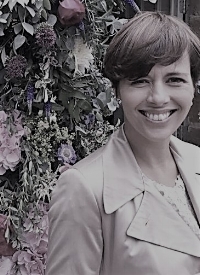 In the challenging and ever changing environment of immigration, Marit’s years of experience means she is able to provide clear and decisive counsel to our clients when needed, always going the extra mile with a personable approach.